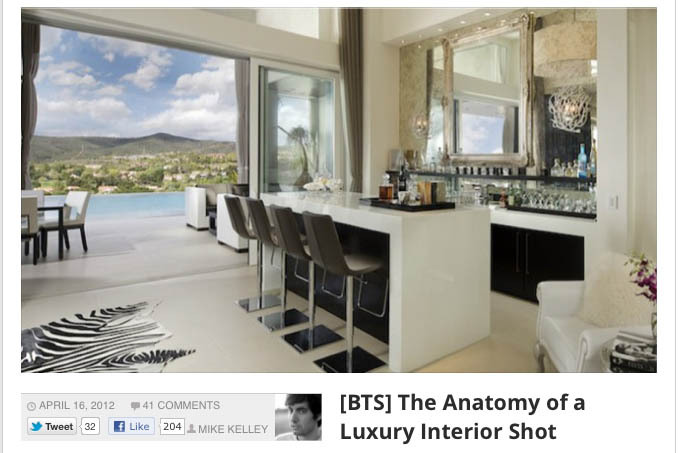 I was recently invited by the team at Fstoppers.com to dissect one of my interior photographs for an article. I've been a long time reader and contributer, but it wasn't until recently that I had full reign to go into detail with regards to the construction and completion of one of my shoots. You'll be able to see some of the challenges faced when shooting interiors and archtiecture, and hopefully it gives a better understanding of what my thought process is during a shoot. Click on the photo below or head here to read the article.